Even common fitness staples may have more salt than you think. Here are 5 surprisingly salty foods, and some lower-sodium substitutes to reduce your salt intake! Salt is the Dr. Jekyll and Mr. Hyde of the nutrition world. On the friendly side, this crystalline combination of sodium and chloride helps maintain fluid balance as well as proper nerve and muscle functioning. Plus, it tastes good! On the evil side, salt may exacerbate health problems among people who are obese or have heart disease. It's not the greatest for your physique, either. In a study published in the journal Scientific Reports, people who ate high amounts of salt were more likely to pack on body fat.1 Researchers concluded that perhaps too much sodium can alter the sensitivity that fat cells have to insulin, which encourages fat gain. Excess sodium can also lead to water retention, which triggers bloat. High-salt foods are often low in nutrition and high in fat, which further fuels this metabolic fire of disarray. Packaged goods, fast-food entrees, and frozen concoctions are often laden with sodium to enhance taste and shelf life. In most cases, these foods are not known for their nutrient-dense, healthy qualities, but rather as convenient, easy-to-prep options. While somewhat arguable, current guidelines recommend limiting sodium intake to 2,300 milligrams or less per day.2 Initial research into the many causes of heart disease cited increased sodium intake to be the major culprit behind such a heightened risk. However, more recent studies have demonstrated the opposite. If you're trying to cut back on sodium intake, you'll be happy to know that roughly 65 percent of our overall sodium intake comes from the foods we toss into our grocery carts at the supermarket. With such a vast majority of our intake coming from easily controllable foods, his makes for a simple change. 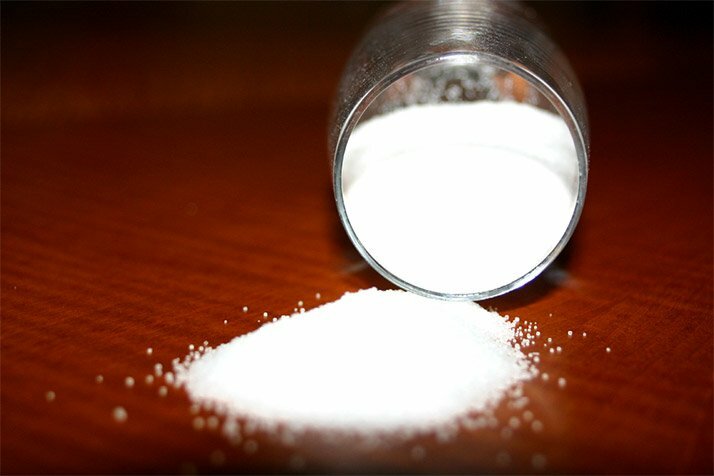 Here's how to diffuse a few unknown salt mines to reduce your sodium intake. 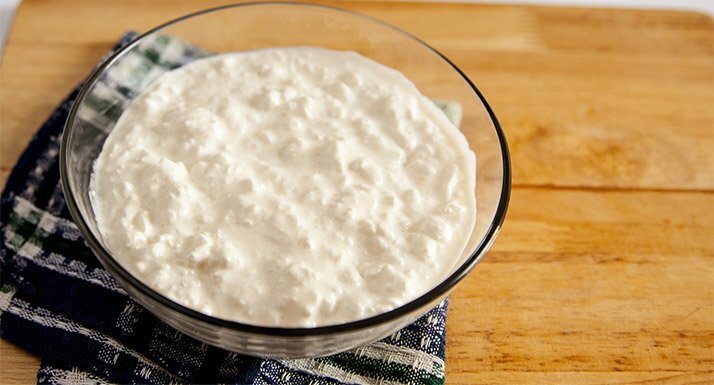 Bodybuilders have long been faithful to cottage cheese, owing to its abundance of muscle-building protein, which contains up to 15 grams in a half-cup serving! But whether you blend the curds into post-training shakes or scoop them up by the bowlful, that great white can hike up your sodium intake. That same half-cup serving can deliver up to 400 milligrams of sodium. Consider searching for a low-salt option, such as Friendship Dairies, or even one that has no added salt. With twice the protein levels of traditional yogurt, velvety Greek yogurt rarely has more than 95 milligrams of sodium per cup. Who would have thought the "staff of life" could be such a major player in our daily sodium intake? Many commercial breads supply a surprisingly high amount of sodium—100-300 milligrams per slice. Your lunch sandwich could easily provide you with a quarter of the daily recommended amount—and that's not even counting the sodium-rich lunch meat! 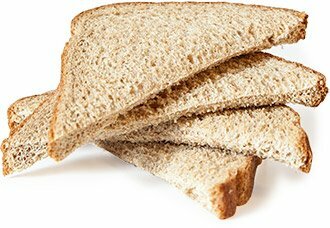 One reason manufacturers make their bread so salty is that it works as a preservative to help extend shelf life. Because the salt is baked into the bread, your morning toast won't taste salty the same way potato chips do where the salt is on the surface. And don't assume that whole-wheat versions are any less damaging! Local bakers making their loaves in small batches are much less likely to produce a product with so much sodium. A reliable source of lean protein, chicken is a dietary staple among the fitness crowd. But the dirty little secret of the shrink-wrapped meat is that much of it has been injected with a saltwater solution during processing. The poultry industry does this to help increase flavor and keep the meat juicy. 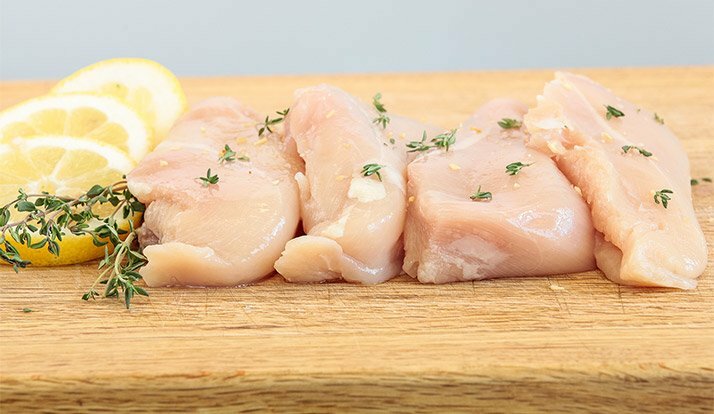 While unadulterated chicken has only about 60 milligrams of sodium in a 3-ounce serving, the "enhanced" bird can have upwards of 300 milligrams! To add insult to injury, the salty solution squirted into the meat adds to the weight of the meat, so you're paying extra for this! Read the fine print for sodium levels on poultry products if you want a cleaner product. Chicken labeled "organic" is less likely to be pumped full of salt. With only 40 milligrams of naturally occurring sodium in a 3-ounce serving, this swimmer contains a boatload of protein and overachieving omega-3 fats. 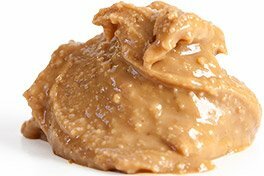 Slather on a couple tablespoons of peanut butter and it's possible to take in 150 milligrams of sodium. Part of the problem is that food manufactures recognize that our taste buds have learned to crave salty foods, so they are all too happy to make it present in items such as ye olde peanut butter. If you're concerned about your sodium intake, seek out jars that contain just nuts and no added salt, sugar or hydrogenated oil. With only a couple of milligrams of sodium, salt-free almond butter is actually slightly more nutrient dense than its peanut counterpart. Sugar isn't the only dietary culprit you have to watch for when shopping the cereal aisle. Packets of instant oatmeal often infuse your breakfast with 200 or so milligrams of sodium. In fact, the cereal aisle is full of sneaky salt smugglers. Case in point: A serving of Raisin Bran harbors 201 milligrams of sodium, so two scoops can definitely take a bite out of your daily quota. These are sodium-free and only take a few moments of extra time to cook up. And instead of the lab-created flavors, you can then add more wholesome stuff like real berries. Stuck for ideas? 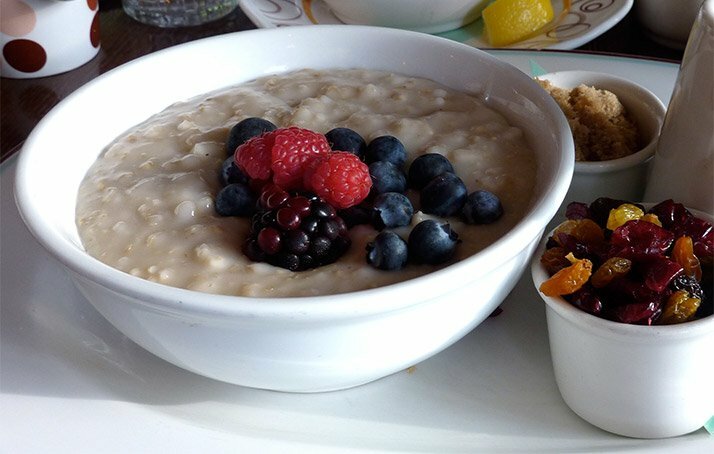 We've got you covered with a variety of delicious oatmeal recipes that can even be prepped ahead of time. Understanding that customers are increasingly pressed for time when it comes to meal preparation, grocery stores are offering more options when it comes to ready-to-go salad kits. But if you aren't careful, a seemingly innocuous salad can turn into a salt bomb. It's not the greens and chopped veggies that that can push sodium levels through the roof—it's the dressing and add-ins like croutons and bacon. 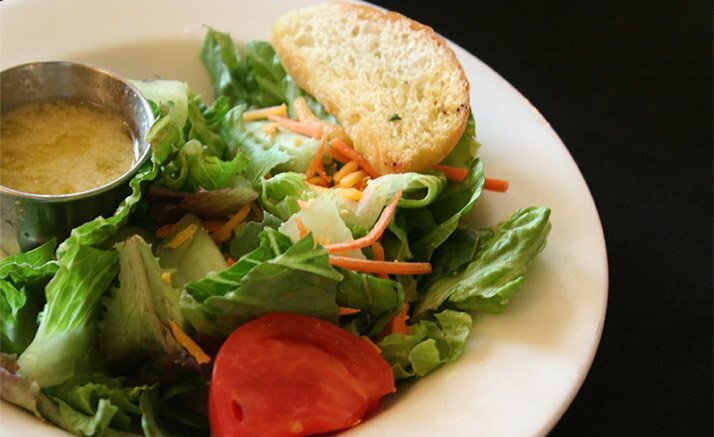 To make matters worse, many salad kits are prepared in-house, meaning they don't always have nutrition labels. For your quick salad fix, pick up packages of precut plain vegetables like carrots and a bag of salad greens, which will eliminate the need for time-consuming chopping. You can then shop for a bottle of salad dressing that contains low amounts of sodium. Be careful of fat-free dressings, which often make up for the loss of fat flavor with added salt, sugar, or both. If you're looking to reduce your salt intake while still enhancing the flavor of your dishes, keep your spice rack well stocked. In an investigation from the University of California, San Diego, people who were showed how to incorporate more herbs and spices into their cooking consumed an average of 966 milligrams less sodium per day than those who were simply encouraged to eat a low-sodium diet.7 Herbs like thyme and spices such as smoked paprika help add plenty of flavor, minimizing the need to add salt for seasoning. Drenowatz, C., Shook, R. P., Hand, G. A., Hébert, J. R., & Blair, S. N. (2014). The independent association between diet quality and body composition. Scientific Reports, 4. Intersalt Cooperative Research Group. (1988). Intersalt: an international study of electrolyte excretion and blood pressure. Results for 24 hour urinary sodium and potassium excretion. British Journal of Medicine, 297(6644), 319-328. Hooper, L., Bartlett, C., Davey Smith, G., & Ebrahim, S. (2003). The long term effects of advice to cut down on salt in food on deaths, cardiovascular disease and blood pressure in adults. Health. Midgley, J.P., Matthew, A.G., Greenwodd, M.T. & Logan, A.G. (1996). Effect of Reduced Dietary Sodium on Blood Pressure: A Meta-analysis of Randomized Controlled Trials. Journal of the American Medical Association, 275(20), 1590-1597.